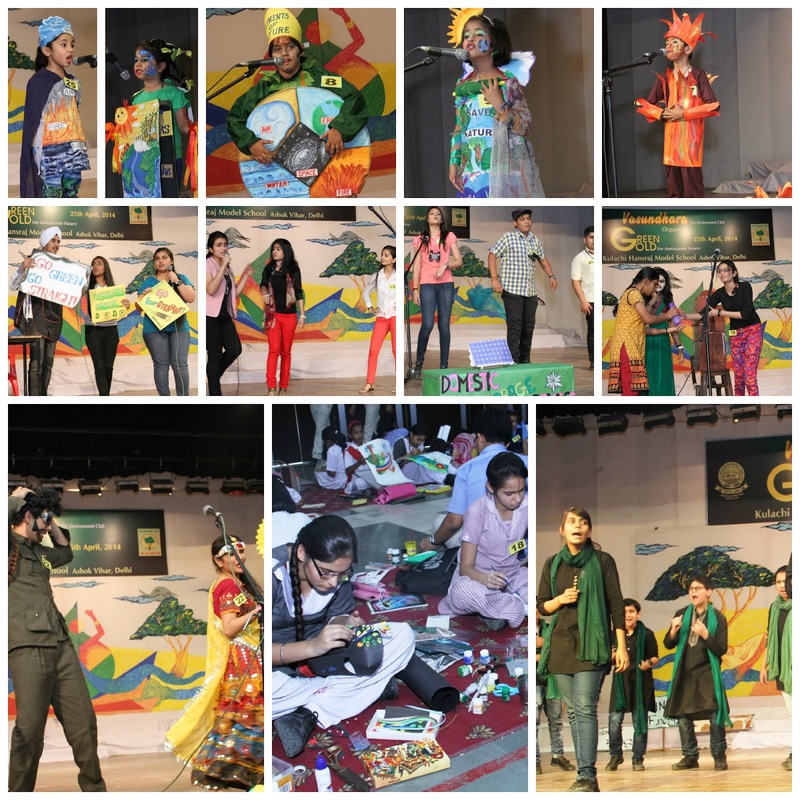 Green Gold is an environment awareness program for sustainable future. It was organized on 25th April, 2014 by Vasundhara Club of Kulachi Hansraj Model School. 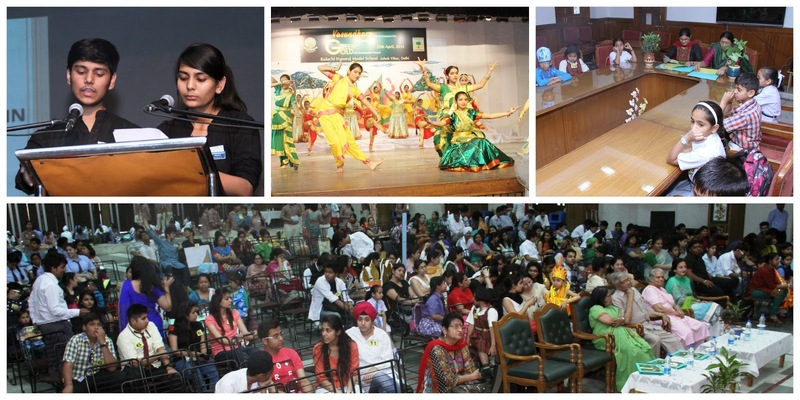 The Programme included various inter-school activities for all age groups. Fancy Dress for Classes I & II, Hindi Kavya Path for Classes III, IV, Mask Making Competition for Classes V & VI, Poster Making Competition VII & VIII, and Video based Story writing Making Competition for Classes IX & X, Advertisement for Classes XI & XII. Dr. B.C. Sabata Sr. scientific officer Govt. of NCT Delhi was the Chief Guest for the occasion. 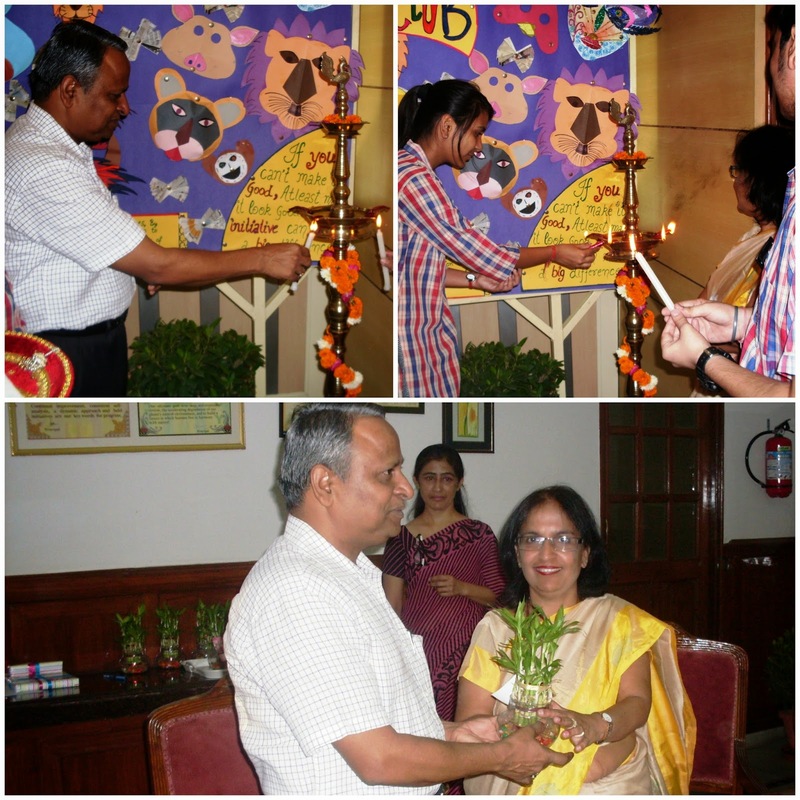 Mr. Ravinder Kumar, Vice-Chairman of our school presided over the function. 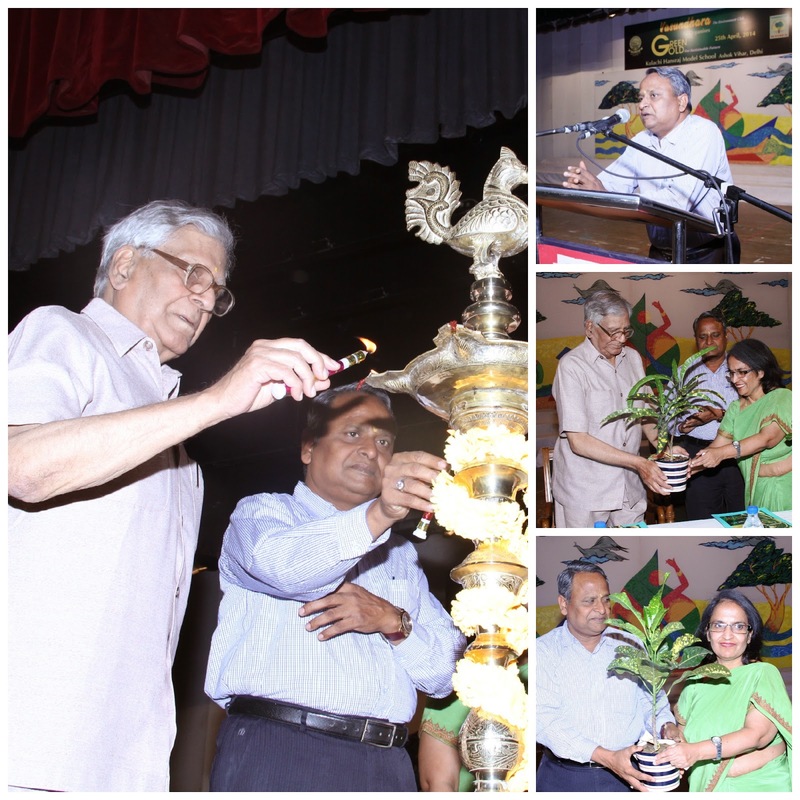 The programme was inaugurated in the school auditorium. The programme began with lighting of the lamp of knowledge. Guests were welcomed by giving them potted plants. Mrs. Sneh Verma, Principal of the school delivered the introductory address. She welcomed Dr. B.C.Sabata who has always been extending support to us in all our endeavours. He has been guiding us in our green initiatives. She also welcomed Shri Ravinder Kumar who is truly a pillar of strength for us. She shared that Kulachi Hansraj Model School always believed that shaping and moulding young minds, creating sensitivity in them towards our precious blue living planet is the utmost clarion call for humanity. Our Endeavour is to constantly make our future generations and the existing mankind realizes their importance responsibility towards the conservation and the judicious use of natural resources. ‘Aryakriti’ on environment was also released. This was followed by Prakritii Vandana inspiring people to respect the nature and make efforts to conserve the environment presented by eco-club members of our school. 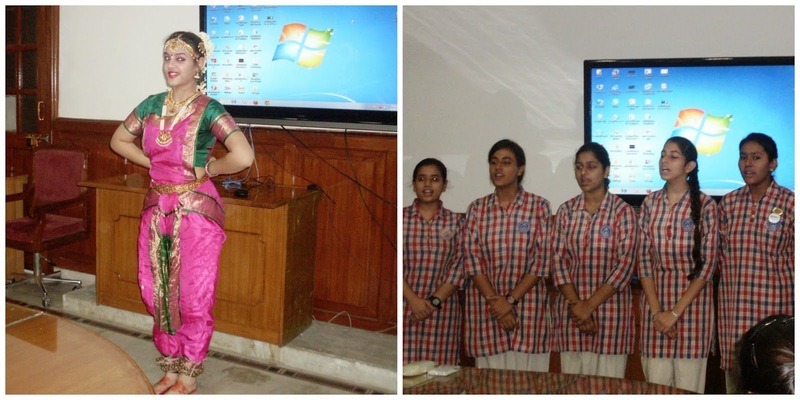 President Naman Suroya XII B and Vice-president Ayushi Goel, XII B presented Power Point presentation in which they discussed about the projects undertaken by the club in the year 2013-14 and future plans for years to come. This was followed by a beautiful dance and tableaus on the theme ‘Prakriti aur Ham’. A skit on ‘Green Village’ enacted by members of eco-club stressing the need of green-initiatives like, a forestation, use of micro kit in chemistry lab, e-waste management, save water save electricity etc. to save our mother earth. Chief guests Dr. B.C. Sabata addressed the students and suggested some simple ways through which one can significantly contribute towards preserving the environment. He also appreciated the Green –initiatives undertaken by the school. 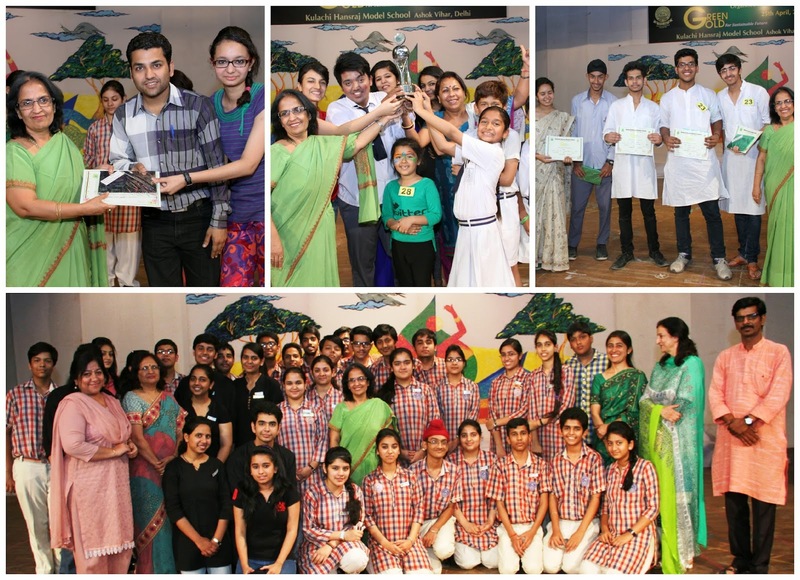 After inaugural function various inter school competitions were conducted and judged. At the end of the programme prizes were distributed by the Principal to the winners of various school. The earth has music for those who listen. To nurture our nature we formed ‘Vasundhara’- the eco club of our school It’s 10th induction ceremony took place on 30th September, 2014 on Tuesday in the conference room of our school. Dr. B.C.Sabata, senior scientific officer from Department of Environment, Govt. of NCT Delhi was the chief guest of the occasion. He, along with the principal of the school, Mrs. Sneh Verma lighted the lamp of knowledge and was greeted with a sapling with a hope for a better tomorrow. The ceremony began with annual report presented by outgoing president, Naman Suroya and Ayushi Goyal. The programme was carried forward by marvellous classical dance performance, a sweet song with glints of hope for future, ‘ paryavaran- pradushan se jug ko bachaye hum’ and a self composed poem recited by Pragya Virmani on our mother Earth. Our respected principal Mrs. Sneh Verma and chief guest Dr. B.C.Sabata addressed the gathering with their inspiring and motivational words that kindled a ray of determination in all of us. It was decided that the agenda for the following year would be keep our surroundings neat and clean. 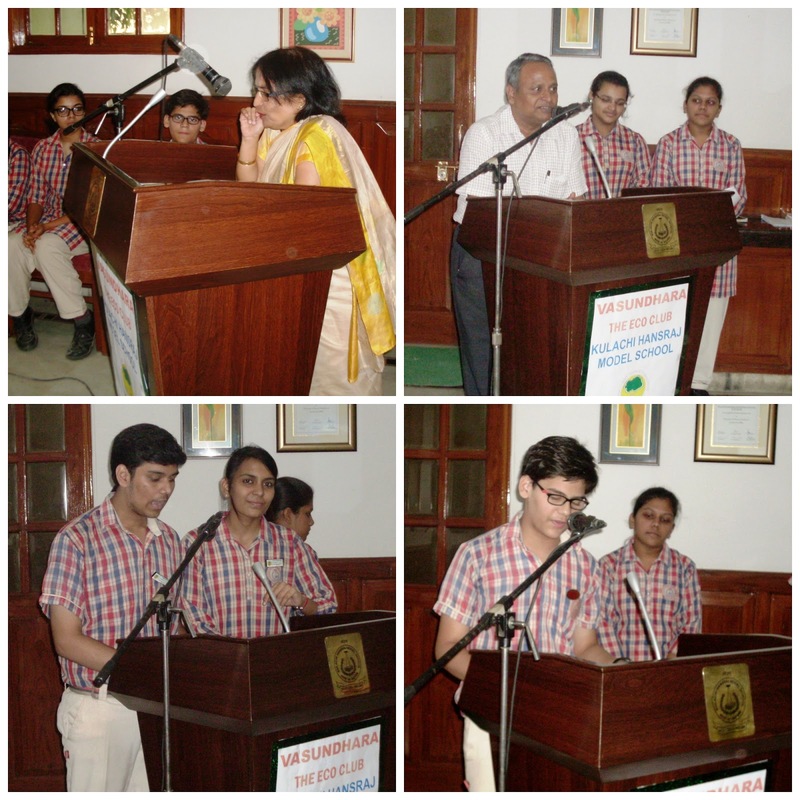 Then Vishrut Mahi of class VIII th shared his views on the topic ‘Disappearing sparrows from urban areas’. The gem phase of the ceremony was the movie prepared by outgoing members of the session as a tribute to the club and its pillars that are Ms Madhu Mehta and Ms Manjula Agarwal . 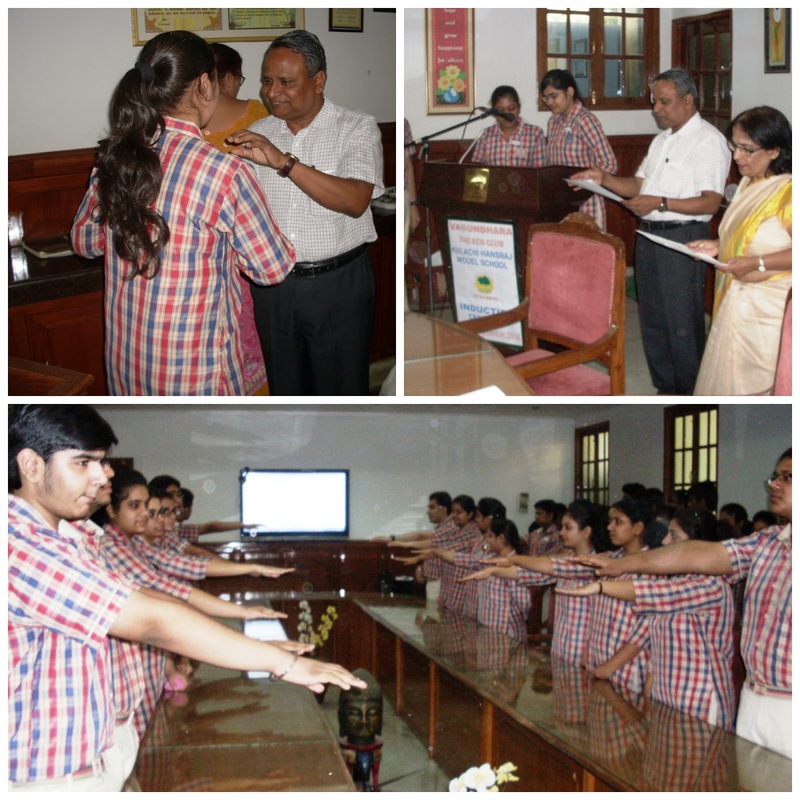 Later names of office bearers were announced and all the members were decorated with badges and eco-pledge was administrated by DR. B.C.Sabata . Farewell to outgoing office bearers took place with awarding the certificates of appreciation for their work and they were given a sweet memorable gift. The ceremony ended with a hope for a better tomorrow.